WASHINGTON — Put the pedal to the … medal. Metaphorically, anyway. Consumer Reports named its top 2019 picks for cars, SUVs and trucks Thursday in D.C. Among the six new winning car brands are Hyundai, Subaru, BMW and Toyota. In fact, four Toyotas were Consumer Reports’ “Top Picks”: the Avalon, Camry, Prius (for a record 16th time) and Yaris. 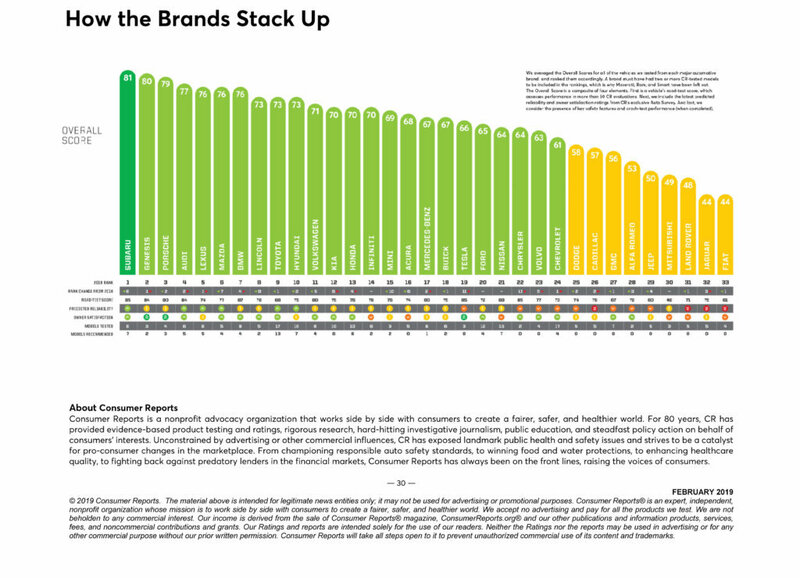 Consumer Reports also released a vehicle brand report card. See it below. The Camry is making a repeat appearance from 2018, as is the Ford F-150, the Audi A4 and the newly redesigned Subaru Forester. Jake Fisher, the senior director of auto testing at Consumer Reports, said there are a couple of surprises as far as automotive brands go. Fisher singled out the Lincoln Continental in particular. “Plus Lincoln is getting serious about safety. They’re putting standard safety equipment on a lot of their new vehicles. That’s really helping them in the brand ranking,” he said. But there are disappointments too. The Tesla Model 3 is no longer being recommended due to issues with its reliability. “… Actually all the Tesla models right now are below average when it comes to reliability,” Fisher told WTOP. So what does it take to be a Consumer Reports Top Pick? Vehicles are rated on four key criteria: road-test performance, predicted reliability, owner satisfaction and safety. “Safety should always be standard, not a luxury reserved only for those who can afford it,” Consumer Reports President and CEO Marta Tellado said in a release. See Consumer Reports’ Top Picks below. 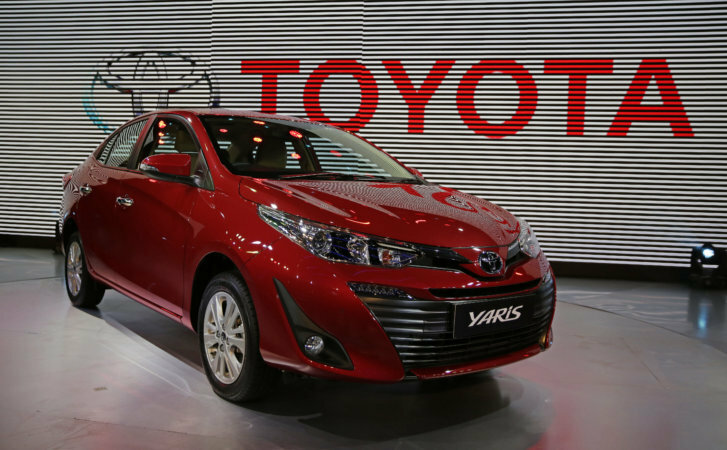 Subcompact car: Toyota Yaris ($17,570 as tested). Large car: Toyota Avalon Hybrid ($38,643 as tested). Hybrid/electric car: Toyota Prius ($27,323 as tested). Compact SUV: Subaru Forester ($29,341 as tested). Midsized car: Toyota Camry Hybrid ($28,949 as tested). Midsized SUV: Subaru Ascent ($43,867 as tested). Subcompact SUV: Hyundai Kona ($25,025 as tested). Full-sized pickup truck: Ford F-150 ($52,535 as tested). Compact luxury car: Audi A4 ($48,890 as tested). Luxury SUV: BMW X5 ($68,730 as tested). Consumer Reports is an independent, nonprofit organization.